This was a wedding anniversary present for my husband and he fell in love with it as it is nice and compact. 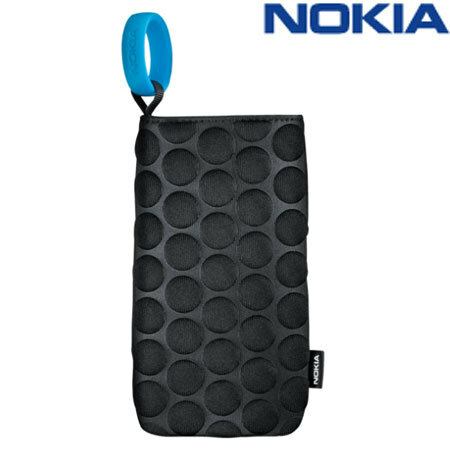 Made to fit most Nokia devices, these funky carrying cases help protect your Nokia device from dust and dirt. As it offers full-body protection, you are also protecting your phone from scratches and minor impacts while in the case. The case is made with a stylish and unique design which covers the whole case. Its made with universal dimensions so it fits a wide range of Nokia handsets. Each carrying sock comes with a clip to attach to belt loops or backpacks. Styled on the carabiner you can be sure that the clip will hold your phone very securely, whatever you choose to attach it to.